Stephen Nicholls is Professor of Cardiology at the University of Adelaide and the inaugural SAHMRI Heart Foundation Heart Disease Theme Leader at the South Australian Health & Medical Research Institute. He completed his medical training in Adelaide, cardiology training in Newcastle and a PhD at the Heart Research Institute. He proceeded to the Cleveland Clinic for a postdoctoral fellowship, followed by faculty appointments in the departments of Cardiovascular Medicine and Cell Biology. Peter Psaltis, MBBS (Hons), PhD, FRACP, FCSANZ is an Academic Interventional Cardiologist in the Central Adelaide Local Health Network. He currently holds Level 2 NHMRC Career Development and National Heart Foundation Future Leader Fellowships, and a Faculty position in the Adelaide University Medical School. He is also Deputy Leader of the Heart Health Theme and Co-director of the Vascular Research Centre at the South Australian Health and Medical Research Institute (SAHMRI). 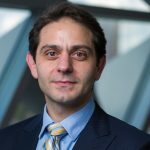 A/Prof Psaltis completed his PhD in 2009, studying the cardiovascular reparative properties of immunoselected bone marrow mesenchymal precursor cells, and then undertook a postdoctoral fellowship in vascular adventitial biology as an NHMRC CJ Martin Fellow at the Mayo Clinic, MN, USA (2009-2012). This was followed by an Interventional Cardiology Fellowship at Monash Health, Melbourne (2013-2014), before returning to Adelaide in 2015. In addition to his clinical roles, he leads a bench-to-bedside research program focused on the developmental origins, molecular and pharmacological regulation of macrophages in healthy and diseased vasculature, and the applications of stem and progenitor cells in cardiovascular therapeutics. He has secured $4.8 million dollars in category 1 fellowship and grant funding, including three NHMRC project grants as CIA. He has published >105 full-text manuscripts, is an Associate Editor for Heart, Lung and Circulation and serves on the editorial boards of Cardiovascular Research and Journal of Geriatric Cardiology. 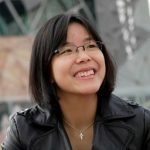 Joanne Tan is a senior postdoctoral researcher with the Heart Health Theme at the South Australian Health & Medical Research Institute. Prior to this, she was at the Heart Research Institute where she investigated the vasculo-protective effects of HDL. Since 2011, her research focusses on the mechanisms underpinning the ability of HDL to regulate angiogenesis. She now seeks to identify novel therapeutic targets to relieve the debilitating effects of diabetic vascular complications. Mary’s career began with a Bachelor of Science from Macquarie University. She then went on to complete Honours at the University of NSW. Mary completed her PhD at the University of NSW. This work has important implications in advanced atherosclerosis, as smooth muscle cell death can promote plaque instability and rupture. Mary was then awarded a competitive NHMRC CJ Martin fellowship which saw her move to the University of Cambridge for two years where she studied smooth muscle apoptosis, or cell death, in atherosclerosis. In 2009 Mary received a large project grant from the NHMRC to investigate the role of TRAIL in atherosclerosis. This allowed her to employ her first team members. She was appointed group leader in 2012 and the following year the team moved to the HRI. Natalie Ward completed her PhD in 2003 and was awarded the CJ Martin NH&MRC Research Fellowship. Her interests encompass hypertension and cardiovascular disease research and she is currently an Adjunct Senior Lecturer at the University of Western Australia. Belinda completed her PhD in 2009 at the Heart Research Institute in Sydney. In 2011 she was awarded an NHMRC Early Career Training Fellowship to undertake research at the Centre for Vascular Research. Belinda joined SAHMRI mid-way through 2015 as a Senior Post Doctoral Fellow and her current research interests include the effect of lipids and lipid-lowering therapies on the process of vascular calcification in heart disease and diabetes. Blake Cochran is a senior postdoctoral researched at the University of New South Wales. After completing his PhD at the University of Wollongong in 2011, he moved to the Heart Research Institute to undertake postdoctoral training. 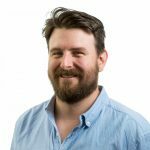 Since moving to UNSW in 2013, Blake’s work has examined the functional consequences of impaired cholesterol homeostasis in cells involved in the development of diabetes and cardiovascular disease. He was awarded an International Atherosclerosis Society Fellowship to undertake research at Imperial College London in 2017, expanding his work to include immune cells.